Prince Harry and Meghan are seein leaving the Sydney airport on arrival in Australia for the Royal tour. The Duchess had sparked speculation she was pregnant after arriving in Australia carrying two purple folders. AUSTRALIA: Meghan Markle has announced she is pregnant. 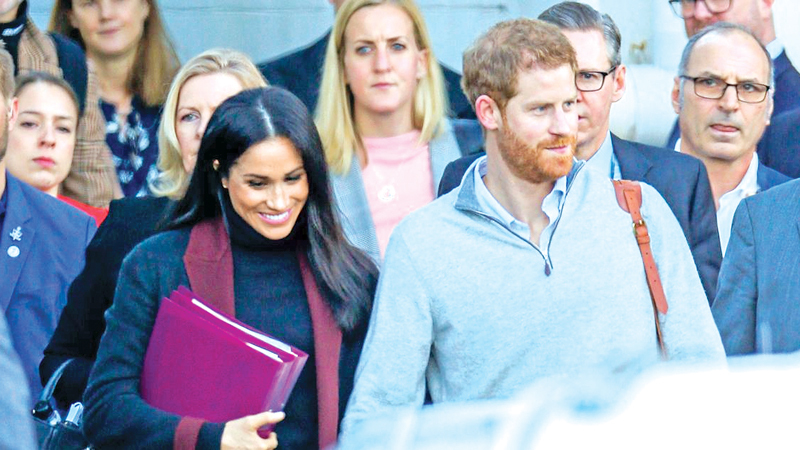 The Duchess of Sussex had sparked speculation that she was expecting after landing in Australia carrying two purple folders. It will be her first child with husband Prince Harry. Meghan and Harry arrived into a rainy Sydney for the start of a 16-day visit to Australia, Fiji, Tonga and New Zealand. The trip, their first outside the UK and Ireland, will officially will see the couple watch the Invictus Games, visit a Sydney zoo and visit the rural Flying Doctor service. The Duke and Duchess of Sussex made a low-key arrival to a wet and wintery Australia after a weekend spent celebrating the marriage of their relative Princess Eugenie and following an overnight commercial flight with Qantas.